In our ever-evolving digital world, it is crucial to stay up to date with the latest trends and best practices. For so long, keywords seemed to run it all! After some big algorithm and AI changes within Google’s platform (The Hummingbird algorithm and RankBrain algorithm), marketers began to realize that keywords were not actually the most ideal method to optimize your blog and site pages and have instead turned to topic clusters. However, keywords are not yet obsolete as they are still vital in creating your topic cluster. According to Hubspot and Smartbug Media, a topic cluster is “a content program that enables deeper coverage across a range of core topic areas, while creating an efficient information architecture in the process.” Instead of focusing on just a few keywords, the use of topic clusters allows marketers to not only embrace the ever-evolving search algorithms but to also optimize their blog and site pages on broader topics allowing for higher levels of engagement. 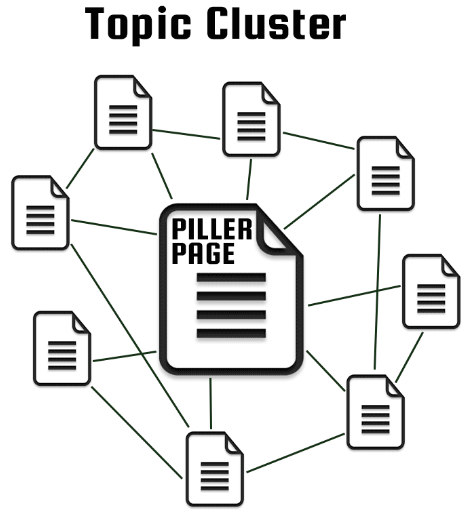 Topic clusters use the model of having one key page, also known as a pillar page, along with many other related pieces of content. All the different pieces of content are interlinked creating a web of resources surrounding the same topic which then allows your users to fall deeper and deeper into studying and knowing the topic that they were seeking out. 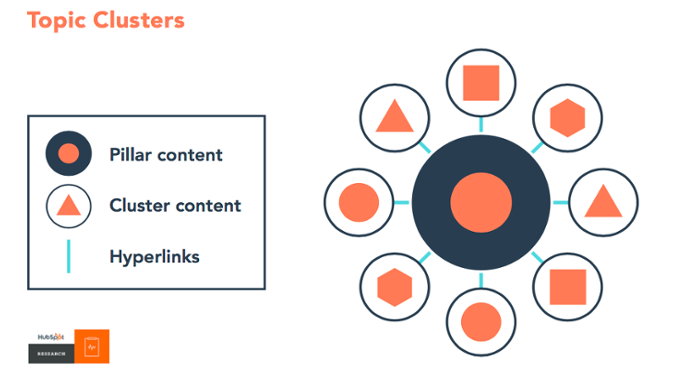 The goal of topic clusters is to enhance inbound methodologies by adding value and growing the reach of your network. Of course, research is still a necessary aspect of setting up your topic cluster and related content. Learn how to create your very own topic cluster below. Your first step is always to do some research and select your key takeaway for the Pillar Page. Take time to deduce what the best broad topic keyword is and then research that keyword and its related content. Always remember that your goal is to provide valuable content for your target audience. You want to create content that is superior to the related content you are able to find via search using your chosen keywords. You can use reputable tools like Moz, SEMRush or Adwords to help gain further insights into trending and successful keywords and topics. Once you have your Pillar Page keyword chosen, along with a number of other related keywords to help you create your web of content, you then need to create the Pillar Page. There are two types of Pillar Pages; a Resource Pillar Page and a 10x Content Pillar Page. The difference is that a resource page focuses on both internal and external links as helpful resources supporting the specific topic while a 10x Content Pillar Page is made mostly of your own media and links to your internal pages. Both serve to create a web of connected content allowing viewers a seemingly never-ending journey of flowing from one piece of content to another. As you can see, keywords are clearly not out of the game...the game has just changed a bit! Keywords still provide valuable information to help marketers enhance the customer-centric buyers journey. The only difference is, now you can utilize even more keywords within one campaign strategy in order to gain higher engagement and conversion from your target audience.